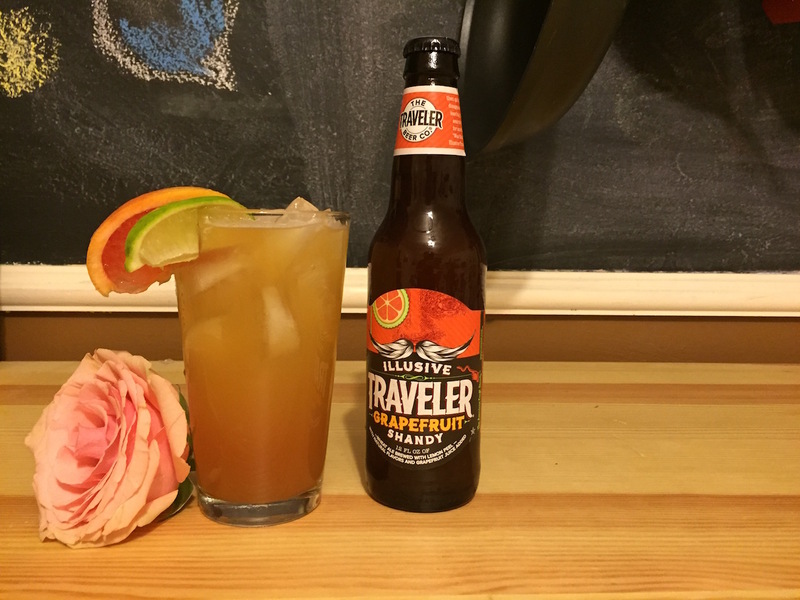 The Illusive Traveler Beer Company has released a Grapefruit Shandy that is great on its own but it becomes amazing when paired with Deep Eddy Ruby Red Grapefruit Vodka. This Shandy is a strong entry into the blossoming fruit beer market, holding it’s own with most rivals and definitely the best in class within the grapefruit beer category. The Shandy pours a cloudy orange showing its wheat beer heritage while a medium density white head forms and disappears quickly. The first thing you notice on the nose are citrusy grapefruit notes on the forefront backed by a rich wheat based malt and sweetness. The nose predicts the taste perfectly; on the front end the Grapefruit shines through in all of its rich citrus glory, and on the backend it is tamed and supplemented by the sweet maltiness of the wheat base, these competing flavors complement the aggressive citrus acidity extremely well. Finally, the Shandy finishes impeccably and neutrally thanks to the natural sweetness of the malt that leaves minimal aftertaste. This Grapefruit Shandy is a flavorful, exciting, and balanced brew that is already at the top of its class, but when you use it in a beer cocktail the experience is taken to a new level of complexity and refinement. 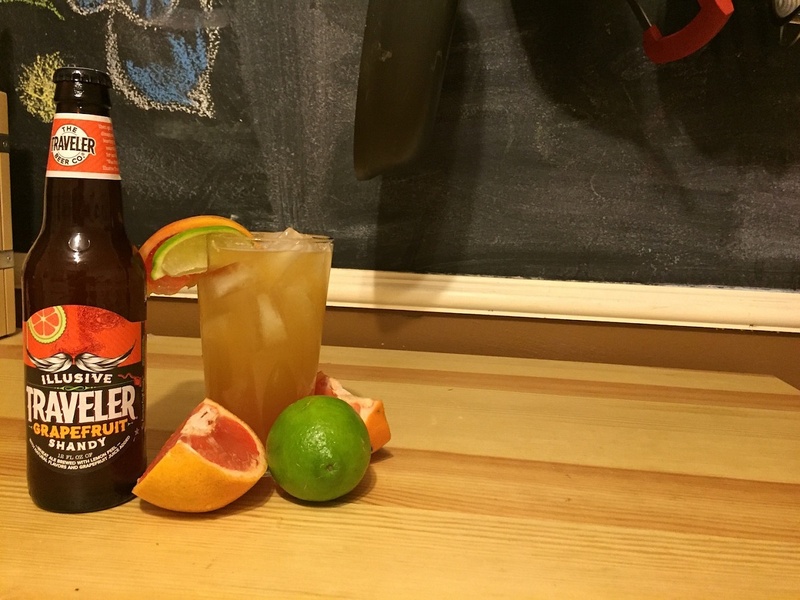 I have to admit I was a bit unsure when I decided to make a beer cocktail with the Grapefruit Shandy since: 1) I have never had one and 2) I am a bit hesitant to compromise the tastes of my favorite brews. My unease was put to rest immediately when I paired Grapefruit Shandy by The Traveler Beer Company with Deep Eddy Ruby Red Grapefruit Vodka, I had created something that was greater than the sum of its parts. I took one shot of the grapefruit vodka and in a metal bar glass with ice I stirred in a bit of orange liquor, some simple syrup, an ounce of fresh lime juice and strained it over a tall glass with ice. 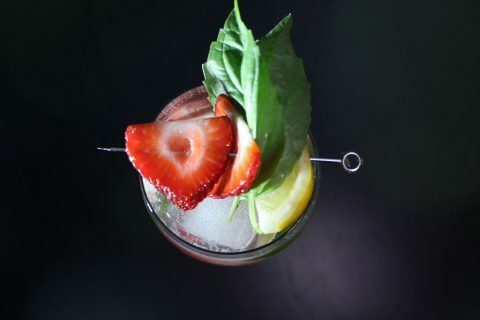 For the final step top the glass with the Grapefruit Shandy and garnish it with freshly sliced grapefruit and lime. 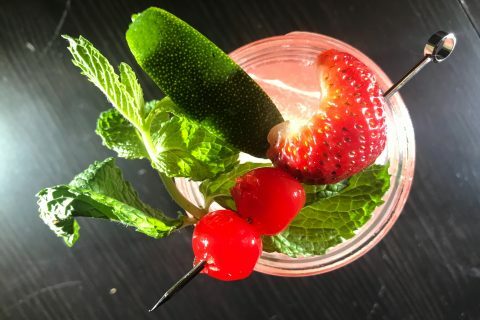 The resulting taste was a complex assortment of fruit and citrus that was balanced with tart lime juice and the sweetness of simple sugar; simply put this cocktail is deliciously subtle and wholly refreshing. If you want a refreshing fruit beer pick up some Grapefruit Shandy by The Traveler Beer Company, and if you are game for the best beer cocktail you have ever had be sure to also add some Deep Eddy Ruby Red Grapefruit Vodka to your shopping list as well.